As my baby shower drew closer, so did my anxiety over the event. I even wondered if I wanted a shower in the first place. Untraditional though it was, I helped in planning mine, and all I ever heard once the invites went out was: “Do you have a registry? Do you know what you might want?” The answers were no, and no idea. 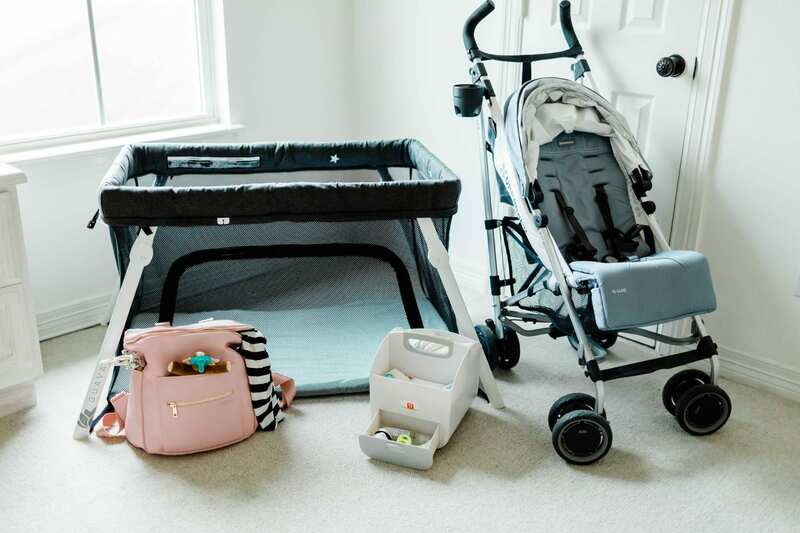 As a first-time mommy-to-be, I had no clue what I wanted or needed in terms of baby gear. Actually, I had nightmares of accumulating piles of unnecessary stuff. No joke. I envisioned bags of cutesie clothes that might never be worn, boxes of trending baby gadgets, and ten crib mobiles. I’m not ungrateful. It’s just that clutter makes me anxious. 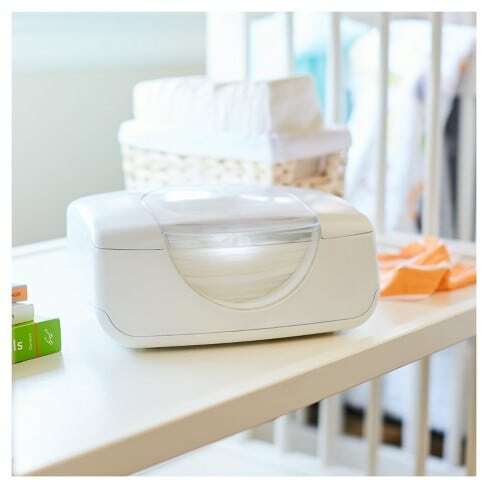 Have you ever seen a baby wipe warmer and thought, “Aww, I need that for my baby.” No? I don’t blame you. It’s one of those trendy gadgets that I may have scoffed at once. I know some veteran moms still do. Warm wipes are an unnecessary luxury, right? Baby doesn’t care if a wet wipe is cold or warm. And if they do, they’ll get over it. Well, in the case of my son, at least, those warm wipes meant the lack of indignant screeches during diaper changes. It felt like a Godsend when, during a 3 A.M. change, I could pull a toasty wipe out of the warmer and keep my little guy comfy enough to stay half asleep. I tested the theory–and my own patience–when I didn’t pack my warmer for an overnight trip. Mine was bulky, and I figured we could deal without it for a day and a half. Let’s just say: A cold wet wipe against baby’s bottom in the middle of the night produces the kind of cry that can drive mommy to tears, too. Hint: Sometimes the warmer can dry wipes out. I stopped that from happening by keeping the wipes in their plastic bag inside of the warmer. I kept the bag closed, and the wipes stayed nice and moist. 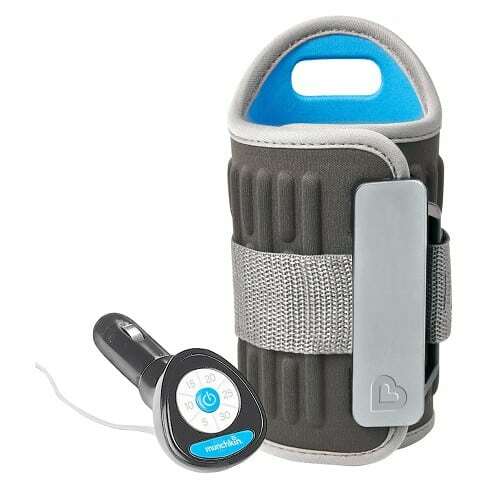 Hint 2: You can use one of these with homemade wipes as well. Just stick them in a ziplock before placing them in the warmer. I was pumped up for exclusive breastfeeding. But alas, avoiding bottles altogether was not in my cards. My son chugged his bottles of breastmilk, but only if they were warm. We had to supplement with formula too, and he would never drink that at room temperature. That’s how another “unnecessary luxury” came to my rescue. I got a two-in-one gift of a bottle sterilizer and a bottle warmer. I never would have purchased either of these myself, but both saved me time and kept me sane. The bottle warmer was small and compact enough to travel with me. All I ever needed was an electrical outlet. I loved that I could safely warm up my breastmilk and formula without boiling pots of water first. Another plus: I didn’t have to worry about hot air bubbles. I could make and warm a bottle in under five minutes, which kept both mommy and baby calm. The bottle sterilizer was my end-of-day savior. The last thing a worn-out new mom needs is to add bottle-scrubbing to her endless list of things to do. Of course, I still rinsed and washed my bottles after each use. But instead of slaving over a sink of boiling water to sterilize every teensie little thing, I let my microwave do the work for me. I arranged the bottles in the sterilizing tray, poured some water in, and bought 10 minutes for a cat nap while the microwave worked its magic. Hint: you can sterilize toys and pacifiers in one of these, too. I always threw in some teethers as long as they were heat-resistant. Though a playard is a pretty standard piece of baby gear, I never thought I would use mine as much as I did. When I got mine, I put it in storage. I figured I wouldn’t need it for a while. Once my son was born, though, that playard became a multipurpose fixture. I’m not exaggerating: The Pack-N-Play replaced our crib. We had a strange setup in our apartment at the time. It was a loft-style unit that had a large master bedroom upstairs and a couple smaller rooms downstairs by the kitchen and living room area. In my prenatal naiveté, I set up my son’s nursery in one of the rooms downstairs. Needless to say, that became our hang-out room and a storage for stuffed animals. It definitely didn’t work as a breastfed baby’s bedroom. Not when his mommy slept upstairs. It started out as a bassinet as baby roomed in with us, thanks to the bassinet attachment. Then, it was his crib as he continued to share our room, thanks to the playard mattress. It was also a safe play space for a few minutes at a time when the mattress was removed. It could travel with us since it could easily fold and be stowed away in its own bag. It’s safe to say, the playard’s purpose grew with our ever-changing needs. I could rest easy, knowing that my sweet bundle was within reach but still in his own little space. An added perk? I never had to worry where my son would sleep when we traveled. I never knew how sweet babywearing could be until I put my son in his first baby carrier. I’ll admit, I thought the concept was kind of cumbersome. But once I read up on the many benefits of babywearing, I was sold. And my sanity thanks me for it. It felt amazing to have both hands free while still carrying my baby. I could do stuff around the house while comfortably bonding with my newborn face-to-face. His sweet baby coos and his warmth swept away any stress I might have felt. The close contact kept my baby’s tears at bay, too. I mean, sure, we had those nights where we both cried from exhaustion because of teething. But those nights were so much more bearable when I could pace around with him strapped to my chest. Babywearing was also my fitness incentive. I could take my little boy on a slow jog without pulling out the stroller. I’m no fitness buff, but I knew we could both use the fresh air. I couldn’t come up with a good excuse not to walk a little each day. Who knew a breastfeeding pillow could make the experience so much more positive? Mom after mom swore by the Breast Friend, so I had to give it a try. At first, I was skeptical about the cushion that fit snuggly around my stomach, but when it elevated my baby just enough for him to latch, I forgot about cradling him in my arms for every feeding. Breastfeeding suddenly became more enjoyable. I settled into my rocking chair, laid my baby on the pillow, and helped him latch. That was my feeding sanctuary. With some calming music, my breast pump, and a book on a side table, I could sit there and easily lose track of time. Changing pads seem like mundane accessories, right? At least they do until you think of all the comfortable, hygienic places where you can change your baby in public-not! I mean, I can count on my fingers the few times I found adequate changing stations in public restrooms. Baby’s bottom never touched anything other than the changing pad. I dreaded being that mom who changes her baby on a bare bathroom floor, and luckily, I was able to avoid that. I had a more robust diaper pad for home. This way, I could keep changes on one sanitary surface no matter which room we were in. This definitely came in handy during the epic baby blow-outs we’ve all-no doubt-experienced. 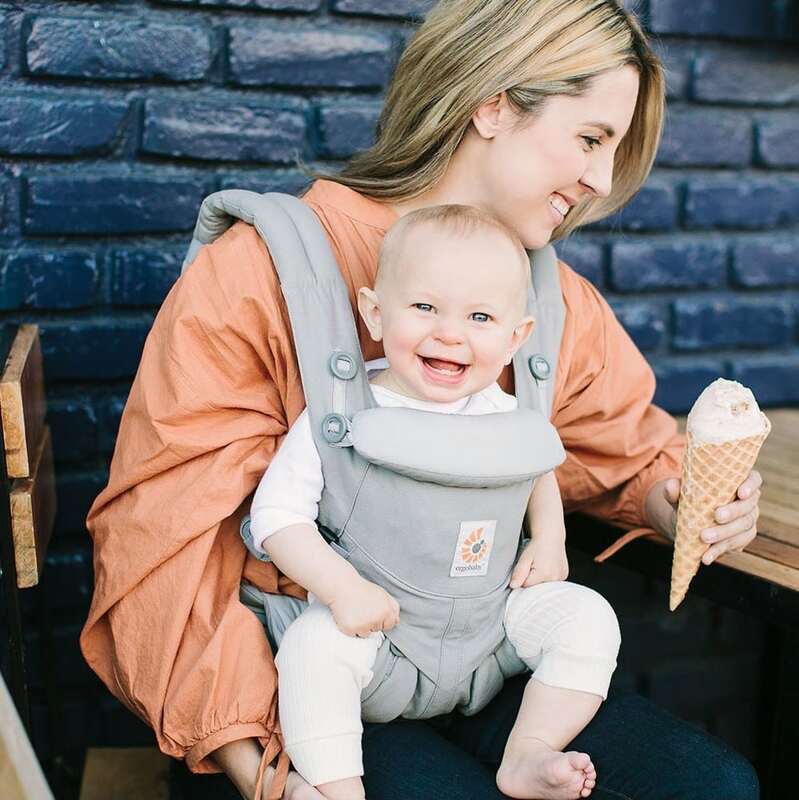 So, these were my six sanity saving baby gear products through my little guy’s infancy. It was a precious year, but a crazy whirlwind nonetheless. Which tools and strategies keep you sane as a new mom? Bernadetta Pracon is a freelance writer and a mom to one little boy. She enjoys coffee, loves dogs, and appreciates her freelance lifestyle.